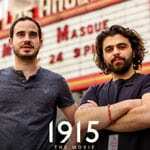 Garin Hovannisian and Alec Mouhibian, co-directors of “1915 The Movie,” below present an open letter to Warner Bros., regarding the film “The Water Diviner.” On the April 24, 2015, the authors will mark the anniversary of the 1915 Armenian genocide along with tens of thousands of Armenians in a march from Hollywood Blvd. to the Turkish consulate to protest the country’s ongoing denial of the tragedy. Similar events will be held in New York and other major cities across the globe. The filmmakers will then travel to Armenia to screen “1915” for the Armenian government and their Armenian Genocide Centennial Committee. On April 24, 2015, your studio is set to release Russell Crowe‘s directorial debut “The Water Diviner” — a historical drama about an Australian father who travels to Gallipoli, Turkey, in search of his dead sons, who were among the Australian troops that landed there in 1915. He discovers, among other things, that the Turks were never really his enemies. In fact they were the noble victims who ultimately triumphed against the imperial West in World War I. The problem is that April 24, 2015, also happens to be the 100th anniversary of the Armenian Genocide, which was perpetrated by the very Turkish government whitewashed by “The Water Diviner.” It was on April 24, 1915 — the night before the Gallipoli landing — that the Young Turk regime set into motion its unprecedented plan: the efficient deportation and slaughter of 1.5 million Armenians and the destruction of their homeland of thousands of years. To this day the Turkish government denies that a genocide ever happened. Through lobby groups in Washington, professors at Ivy League universities, and studios in Hollywood, it has been on a quiet century-long campaign to rewrite the history of 1915. Mr. Crowe’s film goes to show how successful this campaign has been. Nobody watching “The Water Diviner” would know that Armenians had ever existed in the Ottoman Turkish Empire — let alone that they were being exterminated there in the first genocide of modern history. If released, “The Water Diviner” will become the highest profile piece of propaganda ever produced in the service of genocide denial. Of course we do not know how Mr. Crowe and now Warner Bros. have ended up here — by ignorance alone or by bad luck — so we remain polite in how we ask you to consider the consequences of what you are about to do. On April 24, millions of Armenians across the world will be marching on the streets of their cities to remember their dead and protest the ongoing denial of the Turkish government. A hundred thousand Armenians will be marching in Los Angeles, too. How do you expect us to react to the release of your film on the very day we are mourning our dead and demanding that Turkey face its dark past? We simply wanted to inform you that the lost, nameless, and unrecognized Armenians, Greeks, Assyrians, and other minorities systematically slaughtered by the Turkish government in 1915 do, in fact, continue to live on in the hearts and memories of their families — in our hearts and memories. Our communities might ultimately forgive Mr. Crowe for desecrating and insulting these millions of victims by accident, if it was an accident. But if you now move forward with the release of “The Water Diviner” this April, we can no longer consider it an accident. It can only be viewed as complicity — in the denial of the worst crime ever imagined, one that has been repeated throughout the world since 1915 — and it will be met with the offense and outrage it deserves. The trailer is here. #1915TheMovie will be released in select theaters April 17 and on demand April 22. 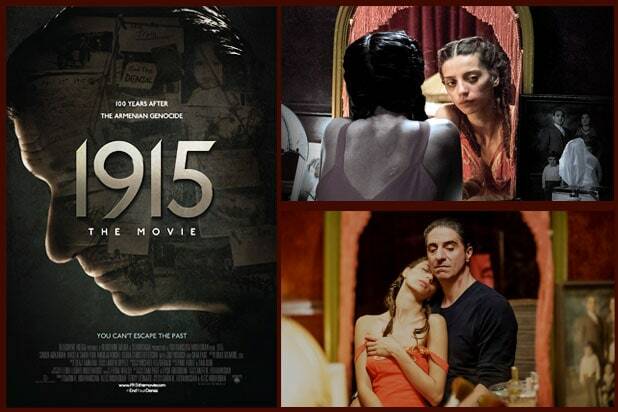 Pre-order now (www.1915themovie.com) to instantly download a full piece from the original soundtrack by Serj Tankian! Co-writer-directors, "1915 The Movie": Alec Mouhibian (L) and "Family of Shadows" author Garin Hovannisian (R) have been collaborating on film and literary projects since they met in middle school in Los Angeles 15 years ago. Read their message on why they made #1915TheMovie at www.1915themovie.com.